I call my father, we talk around the news. neither of his two languages can reach it. What does a true Arab do now? I myself tried to write something for the 15 year “commemoration” of the US war against Iraq, but wasn’t able to complete it. It was too much for me. A couple of months ago I was invited to go to the Northwest to speak about “Fifteen Years After the War.” It was too much for me emotionally, and somewhat shamefully I had to decline. As I write, I have the phone next to me. I am texting a young Iraqi boy who is alone in Turkey. About ten months ago he was kidnapped in Iraq. Through a chain of events, he ended up in Syria. About two months ago his father was contacted and was able to get his son smuggled across the border into Turkey. Last month his son turned 18 years of age and was eligible to register as a refugee with UNHCR. But he will not get an interview for many months to come. Traumatized, missing family and without friends, he tells his family he wants to come home. But it is much too dangerous for him to return. Trying to draw him out of his boredom, I ask him to tell me how his day was. What did he eat? Did he get outside? What is the weather like? I ask him what words he has learned in Turkish. I tell him what I ate, about the soup I cooked or the rainy weather. By the length of time between our messages, I suspect that he is looking up some of the English words. Sometimes we speak by phone and get to see each other. For some reason I find our simple conversation today so tender. His family in Baghdad is grateful that we are in contact. They have another son who was also kidnapped. They do not know whether he is alive or not. The boys were separated after the kidnapping. 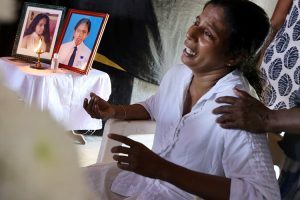 The grief of this family seems to have no end. And this is just one family. I was in Iraq for the month of October last year. One of the hardest things for me on that trip was the feeling I heard expressed that the country has become invisible. 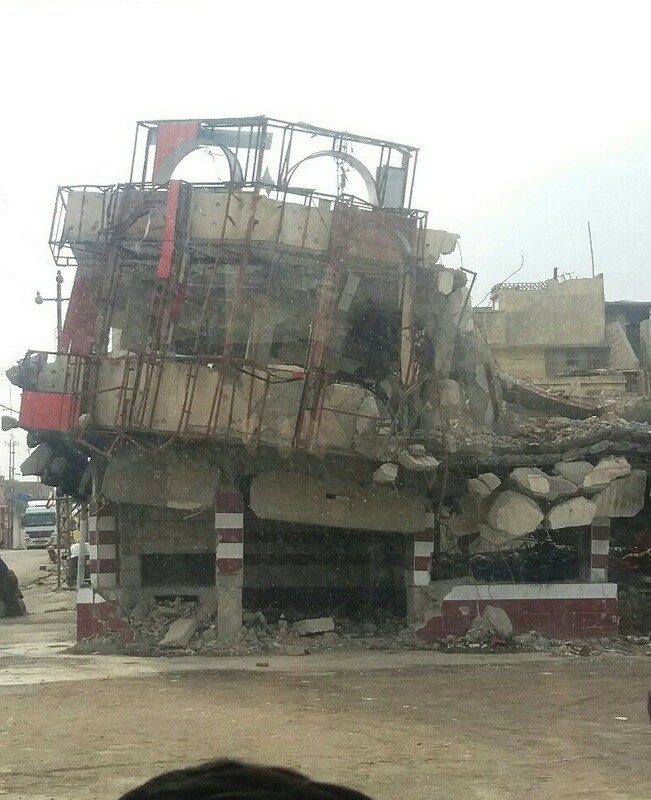 A doctor friend in Baghdad, his hurt palpable, told me he felt as though Iraq has been completely forgotten by the global community. 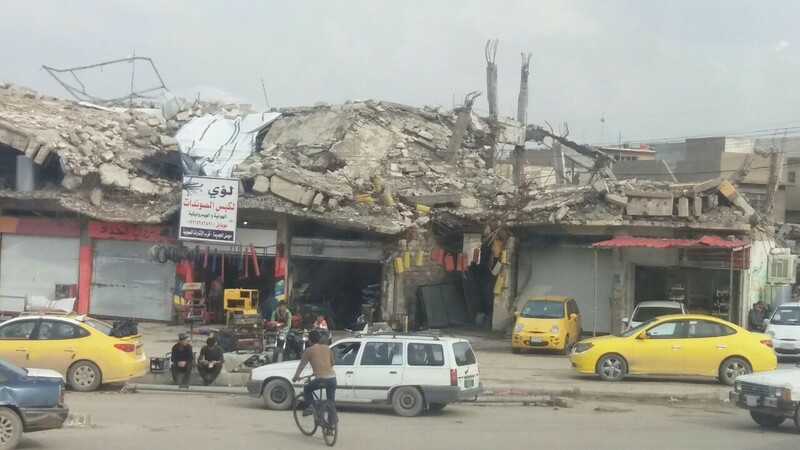 Shop remains open in area of Mosul decimated by bombing, March, 2018. Photo: Abu Mohammed. Cathy Breen (newsfromcathy@gmail.com) co-coordinates Voices for Creative Nonviolence (www.vcnv.org). She lived in Iraq throughout the 2003 “Shock and Awe” bombing. For the past 15 years she has regularly visited with and advocated for Iraqis who’ve been displaced within Iraq or seek refuge beyond Iraq. I feel much the way that you do much of the time and have similar responses. … Are you the Cathy Breen who went to Earlham College?